Grand Knights have reached the acme of skill with sword and lance. 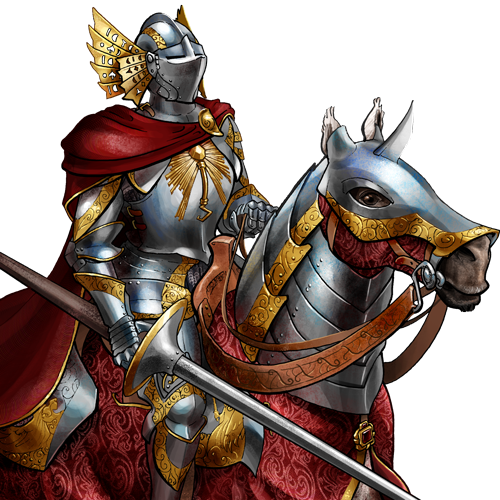 Wearing full plate, and riding steeds bred more for power than for speed, these warriors form the core of any serious cavalry force. A grand knight at the head of a charge is a terrifying sight for infantry, and is often enough to break right through a defensive line. Special Notes: Using a charging attack doubles both damage dealt and received; this does not affect defensive retaliation.